2018 is coming to a close, and our thanks go out to all of you for making it the best year yet! Everyone here at Render Legion would like to wish you a wonderful holiday season, and whether you use 3ds Max, Cinema 4D, or ARCHICAD, we wish you many happy renderings in 2019! 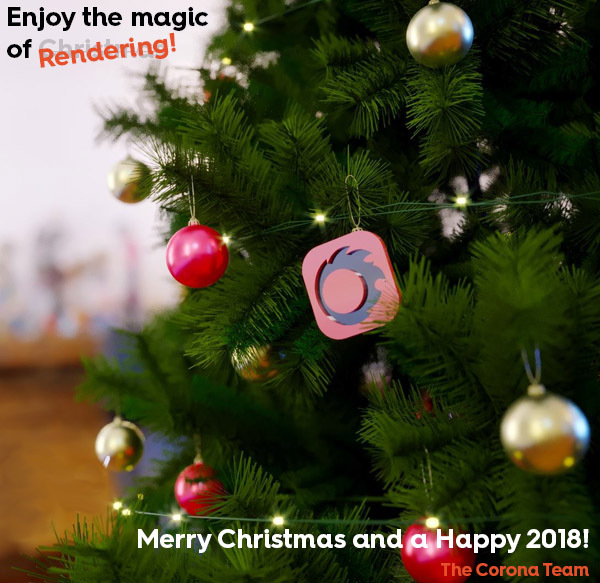 We’ve wrapped up the year with the recent release of Corona Renderer for 3ds Max (Hotfix 1) – but do also watch out for daily builds as there may be a Christmas present there before 2019 begins! We’d also like to announce that our office will be closed from December 22nd until January 1st inclusive – support will be limited during this time. We’re pleased to announce the release of Corona Renderer 2 for 3ds Max! For this version, we’ve focused on heterogeneous media; the first steps in V-Ray compatibility; around 110 new materials in the Material Library; the Corona Official Toolbar; overall reduction in memory requirements; a LOT of bug fixes; and stability & workflow improvements! Corona Renderer for Cinema 4D Beta 1 released! We are pleased to announce that Corona Renderer for Cinema 4D Beta 1 is released! 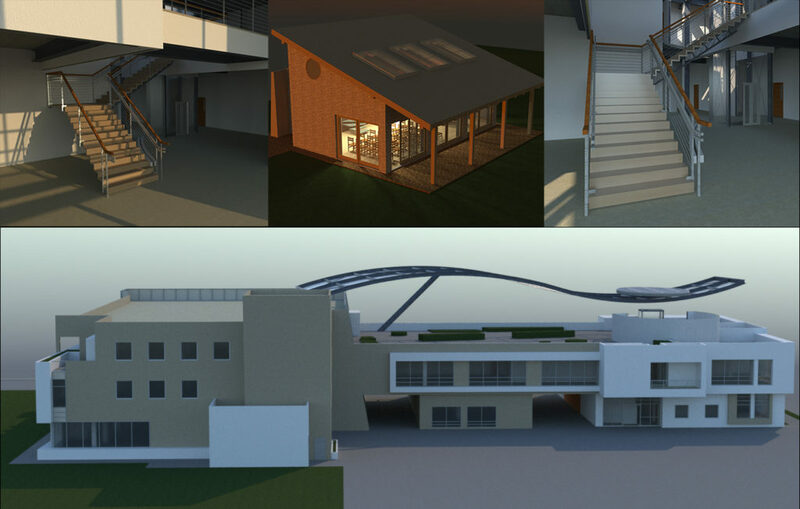 The main purpose of Beta 1 was the implementation of Interactive Rendering. To be able to do that, we have rewritten a big part of the plugin (nearly every part of the plugin was touched), so it took quite a long time to stabilize all of Corona Renderer with so many changes. The good news is that this big rewrite allowed us to implement Interactive Rendering that includes support of standard Cinema 4D and 3rd-party shaders, and that it also allowed us to quickly implement the Shadow Catcher and finally native Material stacking, so I am sure you’ll agree it was worth the wait! During the development of Beta 1, we updated twice to the new core, first to 1.6 and then to 1.7.2, which is the most up-to-date core. We also released 21 daily builds, so we’d like to thank all of you for testing them and helping us to finally release the stable version! Compared to the previous Alpha version, there have been a huge number of bug fixes (some longer-existing bugs still persist, but that’s why we’ve always had Beta 2 planned), and there have been a lot of new features and new functionality implemented. 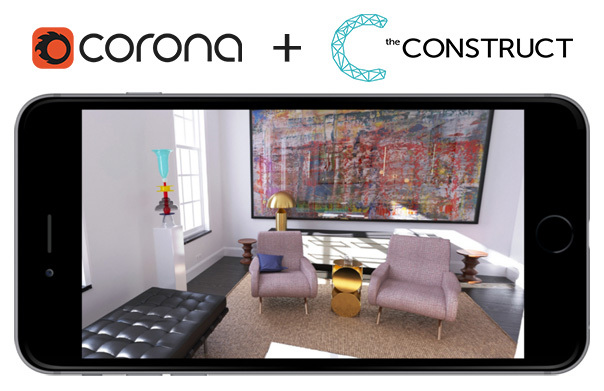 It’s a brand new year, and time to take a look at some of what is next for Corona Renderer and VR! 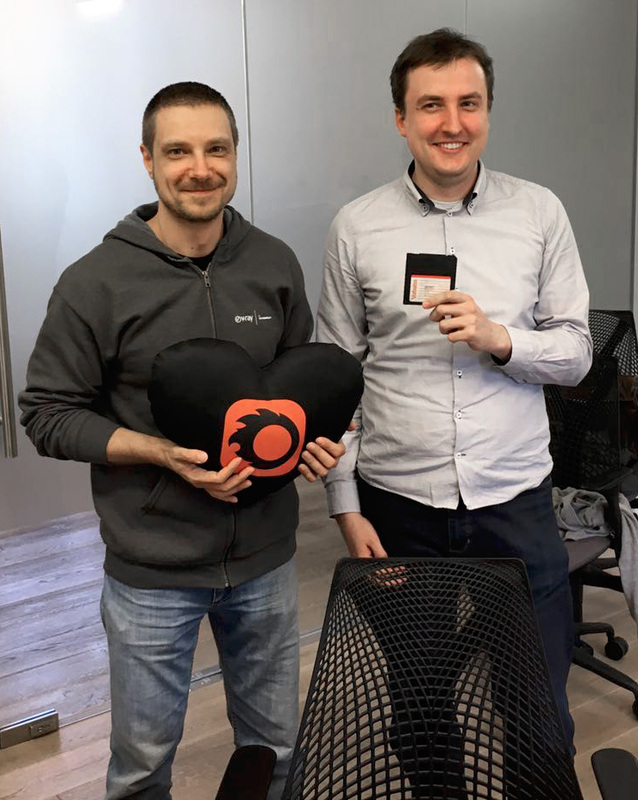 Read what’s next for Corona and VR! Corona Renderer for Cinema 4D, Beta 1, Release Candidate 1 Released! We are pleased to announce that Corona Renderer for Cinema 4D, Beta 1, is released! If you have not been following the development through the Daily Builds, then here’s what you need to know – there have been a huge number of bug fixes, thanks to the extensive testing and feedback from you, and there have been a lot of new features and functionality implemented, such as Interactive Rendering, the Shadow Catcher, Dispersion, and more! And of course there have been a great many bug fixes too. It all adds up to Beta 1 being a quantum leap ahead of the previous Alpha release! Please test the Release Candidate and report any bugs, which will let us ensure that everything is stable and working as intended. You can report bugs to us on our bug tracker or on the forum. Once thorough testing and fixing of any issues is complete, we will release the final version of Beta 1. This year has been one wild and amazing ride! Our thanks go out to all of you for making 2017 such a fantastic year, and we wish you a wonderful holiday season and many happy renderings in 2018! We’d also like to announce that our office will be closed from December 22nd until January 1st inclusive (yes, even we need to take a break!) – Our support will be limited during this time. Our thanks to Jerald Tegelan for the use of the render! We wanted to share a quick preview of some of the features that are already in the daily build of Corona Renderer 1.6 as of February 2017. Read about what is the current Daily Build!